This tutorial explains what Bulk Control Board is and why we need it. It describes how to use it. 1 What is Bulk Control Board? Bulk Control Board is a place where you can monitor Inbound Processing, Interfaces and Schedulers. These tabs are using for bulk processing performance. Bulk Control Board is using for mass data. 3. 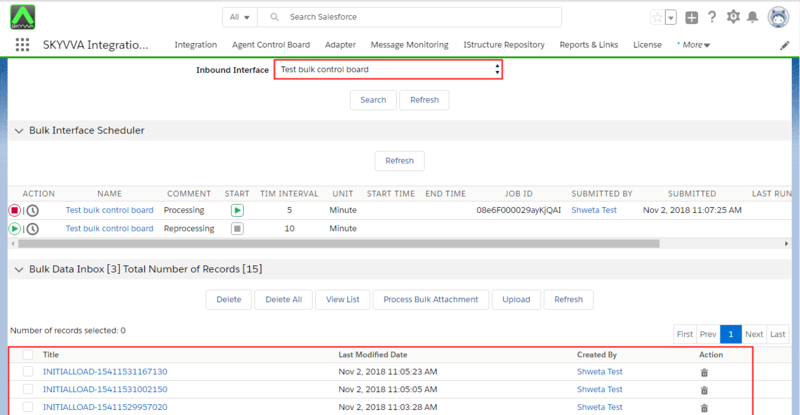 Push data into salesforce through Agent. 4. Select on Bulk Control Board which is on Custom Links section. This is how Bulk Control Board look like as the screenshot shown above. Bulk Control Board is located in Integration page detail and exist in Custom links section. 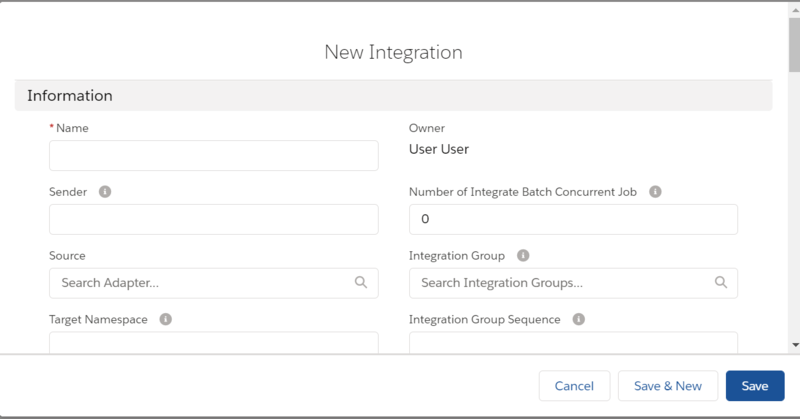 Inbound Processing tabs contains 5 differences sections which are Filter, Bulk Interface Scheduler, Bulk Data Inbox, Bulk Data Processing and Bulk Monitor. Each sections play a different roles for bulk processing. The following will describe in detail of each section and how they work. This section uses to monitor two schedulers Processing and Reprocessing. You can only Start/Stop the schedule here. If you want to set the time for your attachment processing, you have to enter Scheduler tab. It only shows Job Id, Last Run Date and Next Run Date. have to click on Process Bulk Attachment. Bulk Data Processing is used to store data that are processing. These data will remove after it done to Bulk Monitor section. Whenever all the attachment that store have face some problem like crashing you can use Delete button to eliminate them. But if you want to stop these attachment processing you need to go to Apex job to abort them. Otherwise the attachment will keep on processing. You can do reprocessing by checkbox and click on “Re-Initialload” button. On the other hand, all the attachments will also move to “Bulk monitor”. 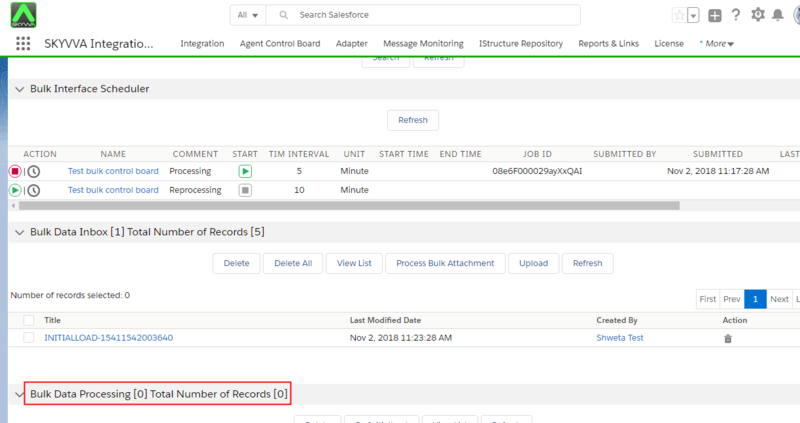 In this section you can monitor the total records of attachments, total batch and batches that had processed. Likewise, you can also know if the attachment is completed, failed or pending.